Head down to Victoria University, Footscray, on Thursday 2 June, 2016 for a FREE and fun science family night. The 2016 Science Spectacular Family Night will take place in 'Building L' at 6:30pm, presented by VU's Professor Science Troupe. 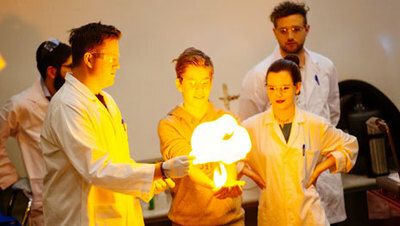 See water coolers transform into volcanoes, feel explosions that rock the room, and the Professor Science Troupe will shock you by setting their own hands on fire during the 70-minute show. The idea is to show audiences that science can be fun as well as fascinating. Expect big bangs, explosions and huge amounts of wonderment. This is a free event, no bookings required.